Aaron really outdid himself with my Easter basket this year. 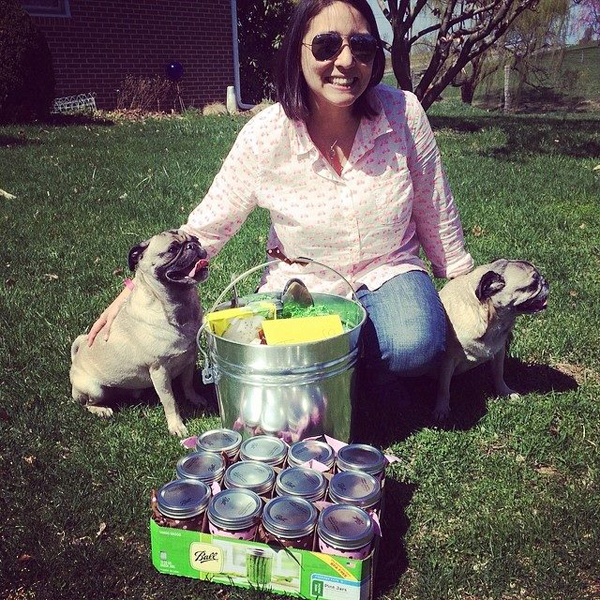 Not only was there a pail with candy and other goodies.. there were a dozen mason jars hid in the yard each with a goodie inside! 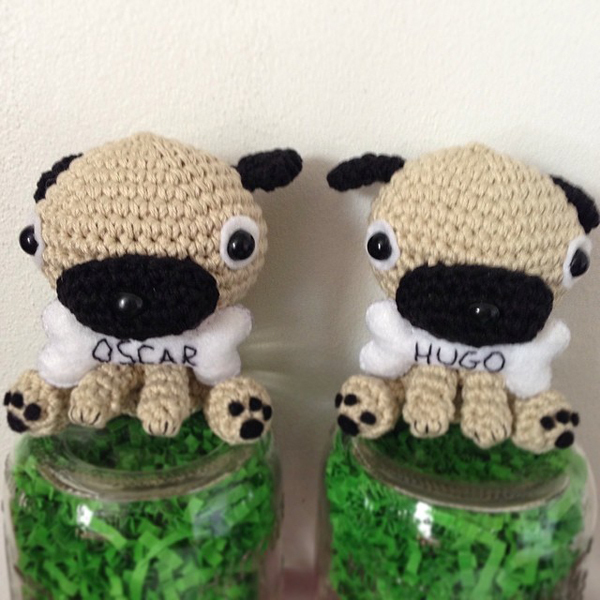 Two of the jars held these adorable amigurumi he had custom made by Cranberries Knot! The resemblance is uncanny!